Should You Rather Just Consider Gaming Monitor Under 150? 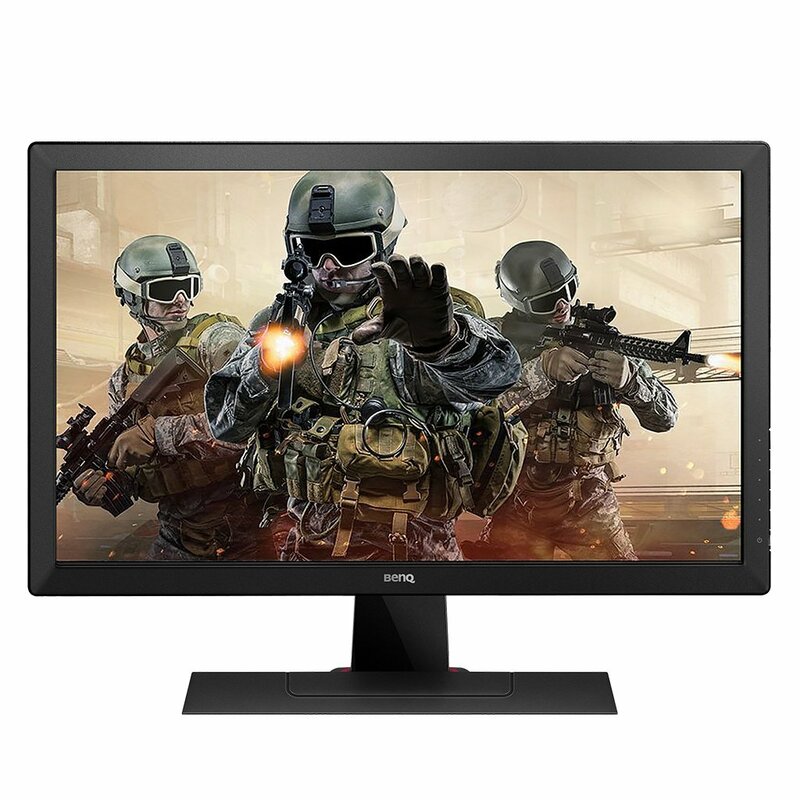 What to Look for in Gaming Monitor Under 200? Cost benefit analysis. This is a term that you should keep in mind when getting gaming monitor under 200. This is a term not just used in conversations, but also widely implemented in almost all of the areas of our lives. Be it clothes, food or gadgets, everyone wants to endure complete satisfaction without spending too much of their pockets. But when it comes to technological appliances, people know that they have to spend that extra penny to experience good quality. Finding a gaming monitor under 200 is not an easy feat though. Every monitor has its own set of features making them stand out from one another. But what if I tell you that there are monitors out there that can be accommodated just under your budget and are packed full of exquisite specifications? When it comes to buying monitors, we all know that one of the main features that cannot go unnoticed are the panels. Our decision relies upon whether the monitor has a TN panel or an IPS panel. It also matters on the screen resolution the monitor is offering, be it a typical 1920 x 1080 resolution or a high 3440 x 1440 resolution. Furthermore our decision revolves around the productivity the monitor can offer. 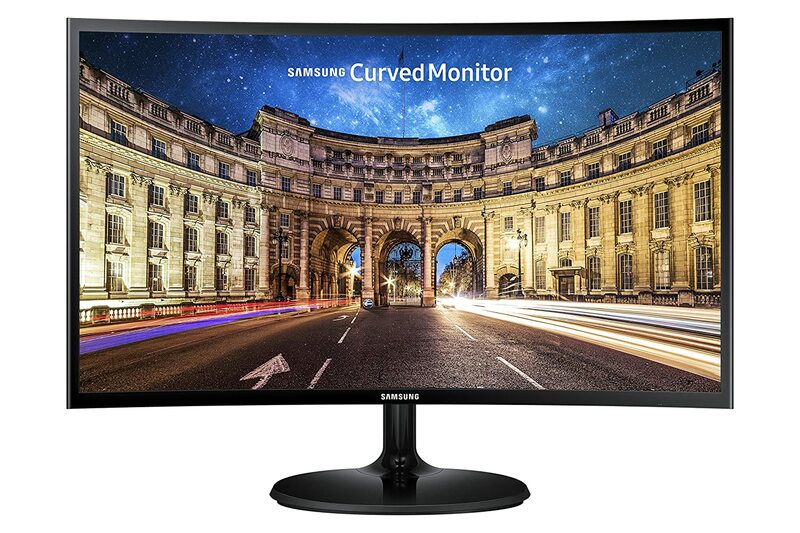 Lying under a price range of $200, here we have a list of these monitors. You get what you pay for. So you cannot expect these monitors to perform extraordinarily in gaming. The following selection of monitors are what you can consider an entry level monitors to gaming. Most of these monitors are not specifically designed for gaming but rather for general use. They just happen to have the right specs that would satisfy a gamer as well. At this price range you can expect a decent set of monitors featuring both TN and IPS panels with decent response times and connectivity options. You can also find VA panels that are like the combination of TN and IPS panels. They offer superior contrast ratio.The best screen size at this price range to go for would be the 24 inch monitors. Here is a list of a few best gaming monitor under 200 that we have picked for you. As mentioned earlier, most of these monitors are not specifically designed for gaming. Dedicated gaming monitors are very expensive. However, these should suffice under normal circumstances. For budget oriented people, these monitors should be more than enough. This list would be incomplete without the mentioning of an ASUS gaming monitor. This is one of the best gaming monitor under 200. Not only does it look amazing, it has some of the best technology catering specifically to gamers. For starters this is a 24 inch FHD monitor that has a response time of 1 ms. Additionally it has a higher than average refresh rate of 75 Hz, this can help in reducing the unwanted motion blur. This monitor is also fully adjustable. It also has the latest AMD FreeSync technology that helps in removing the screen tear or screen stutter with an AMD Radeon graphic card. AOC has done it again. Some could consider this to be the best gaming monitor under 200. 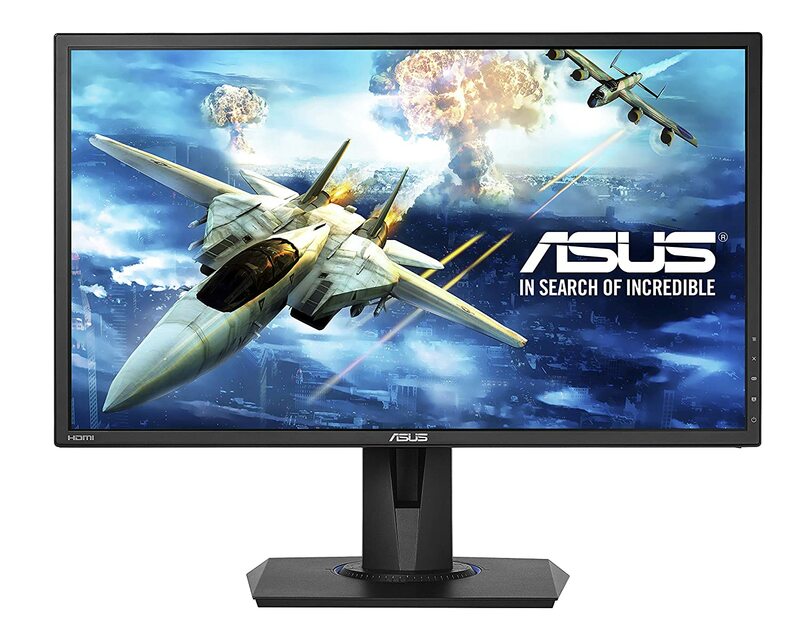 This is a 24 inch monitor with FHD resolution that not only has 1 ms response time and Free Sync technology like the ASUS VG245H above, it also has a refresh rate of 144 Hz. Furthermore it features one of the best connectivity configuration with an HDMI, VGA, DVI, 5 x USB Hub and Display Port. On top of that this monitor is fully adjustable i.e it can swivel, tilt pivot and change height and it also has VESA mounting holes. Another great monitor by a brand that excels at making gaming monitors. This monitor features an essential feature that is the low input. Input lag is the measure of delay between the time a key is stricken on the keyboard to the point the reaction is recorded on the screen. A low input lags gives you the much needed input lag. With a 1 ms response time, this monitor makes sure that you get to have a smooth experience with your work or game. With a 24 inch display, it has a screen resolution of 1920 x 1080. This monitor is considered to be one of the best in its price category. Has the same look and feel of a Dell Ultrasharp monitor. This thin bezel gaming monitor is one of the cheapest quality monitor in the market. It has a low input lag, low response time and fair set of connectivity options to keep most of the casual gamer entertained. If you are on a tight budget and are planning on setting up a multiple monitor setup, this is one monitor that you can consider. If you are looking for gaming on an Ultrawide monitor at a budget price range, then this is a great monitor to go for. This 25 inch monitor offers 21:9 aspect ratio. As a result it has a resolution of 2560 x 1080, which is much more than the traditional FHD. 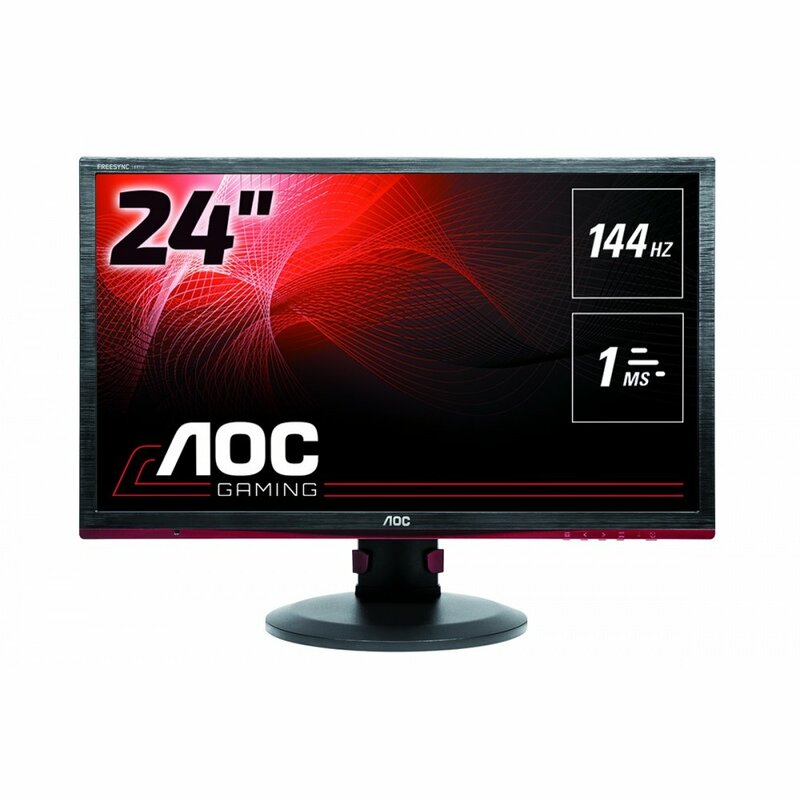 This monitor offers an IPS panel with a response time of 5 ms. It is limited in terms of stand adjustability, but you wouldn’t really need that for gaming. The connectivity options include 2 x HDMI ports. 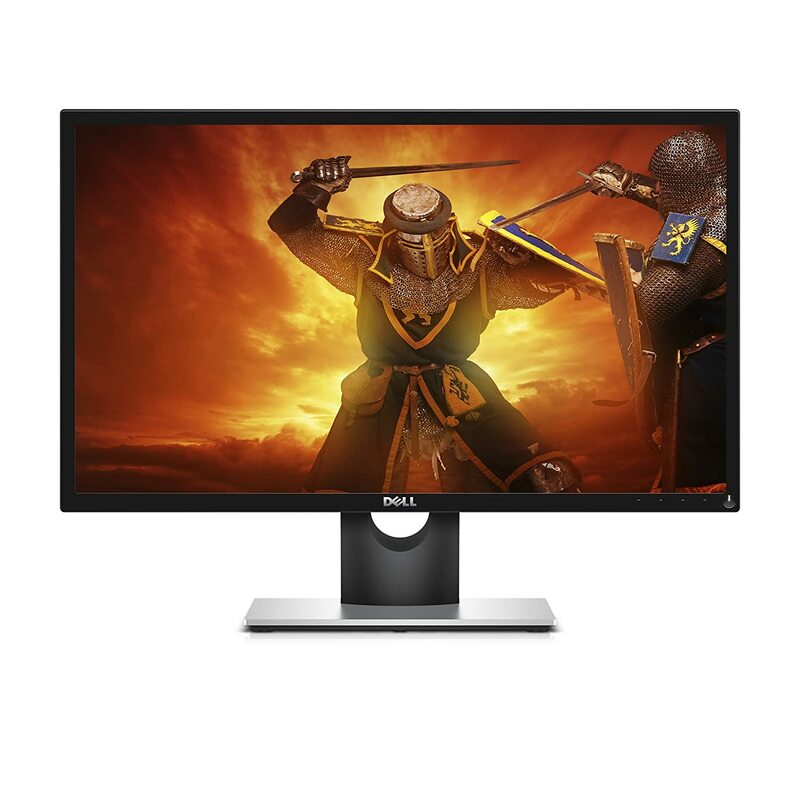 This monitor has several other additional features such as gaming mode, over 99% sRGB color gamut, black stabilizer, 4 screen split and flicker free technology. This is not just a great gaming monitor, but also an amazing professional monitor that you can use for stuff like video editing. This monitor isn’t particularly designed as a gaming one, but if it is affordability that you are after, then by all means consider this monitor. This is a very affordable 22 inch monitor with IPS panel, FHD screen, a decent response time and connectivity. It comes with a very clean frameless look making it ideal for multi monitor setups. This is yet another monitor that is designed specifically for multi monitor setups. it is very cheap, small and has all the essential features for budget gaming. It does not have as small a bezel as the Dell monitor above, it does have an HDMI port which is needed for interfacing with many devices. This is a decent, affordable gaming monitor by ViewSonic that has a 24 inch display and FHD resolution. It is one of the cheapest monitor of its size category that features VESA mounts. So if you are planning on hooking an affordable monitor on a wall on VESA complaint stands, then you can consider this. When it comes to connectivity options, the ViewSonic VX2450WM monitor facilitates the user with HDMI, DVI and VGA inputs. If you are already buying a cheap monitor, why not go for the cheapest right? Well, the thing is some of the gaming monitors that you can get under $200 are profoundly better than most gaming monitors under $150. Gaming monitors under $150 are basically conventional monitors that have specs to be potentially used for gaming. 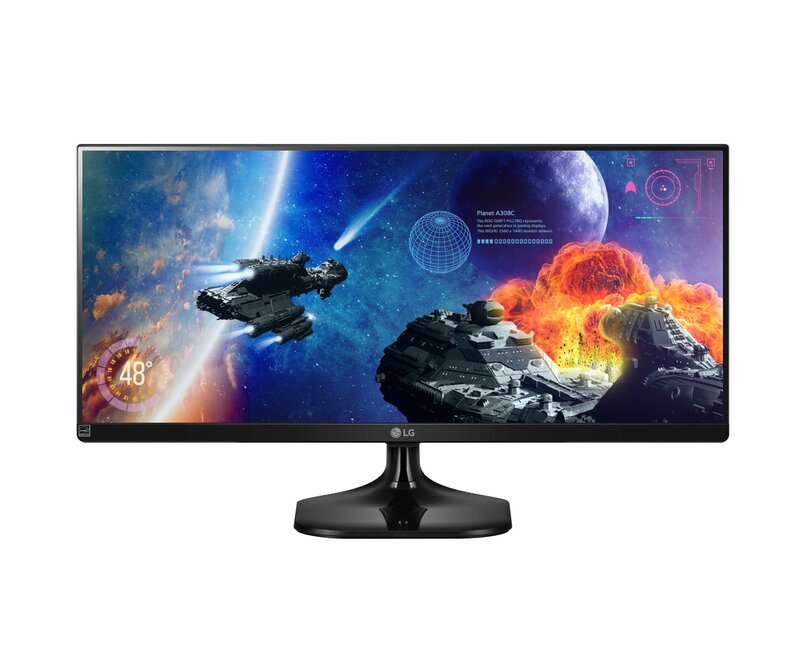 Gaming monitor under $200 are dedicated gaming monitors. They have the hardware that is specifically built for gaming. It is for that reason that I would recommend you stick to this price range. However, if you are tight on budget you can definitely check out some of the monitors in the $150 price range. Well, let me start off by telling you that you won’t have much of a variety of choice to choose from. You can find several monitors in this range that are suitable for gaming; however, they are mostly the same in terms of specification. This video is pretty comprehensive and I recommend watching it to learn as much as you can about monitor specs. Your choice will mostly depend on your brand loyalty and the looks of the monitor. To many the connectivity options would also be the deciding point. In any case, when choosing any monitor, you need to consider the following basic specs: resolution, refresh rate, response time and color gamut coverage. At this price range you can expect a resolution of FHD, refresh rate of 60 Hz, response time of 1 ms – 5 ms depending upon the panel choice (i.e IPS or TN). As for the color gamut coverage, that is a feature that is mostly relevant to professional monitors, which are way more expensive. For a common monitor like this, you can expect them to cover about 74% of sRGB compared to 100% sRGB coverage on professional monitors. Another important aspect to consider is connectivity. If you are getting a gaming monitor for PC, then any port will do since PCs usually have VGA, DVI or HDMI port. However, if you are getting a monitor for gaming consoles, then make sure it has an HDMI port. Else, you will need to invest in an adapted i.e HDMI – DVI or HDMI – VGA port. You can find several monitor in this price range, but don’t expect them to vary too much in terms of features. As long as the monitor has a 22″ – 24″ screen size, FHD resolution and a decent 1 ms to 5 ms response time, you can consider it to be a great gaming monitor under 200. The one brand that stands out in terms of gaming functionality is the BenQ; however, that does not mean that you should not check out the rest of the monitors.